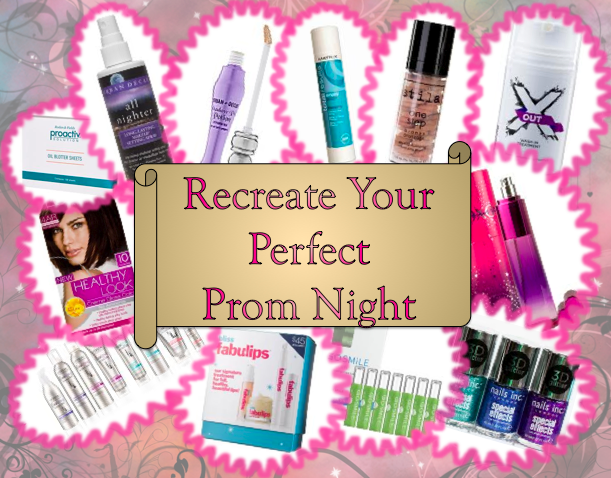 While our metabolisms have slowed down, and a night on the town takes us all weekend to recover, we have some perfect prom products to inspire better beauty habits and glowing skin. Prom is an important day and, with constant picture taking and expectant slow dancing, no one dreams of sporting acne to theirs. Introducing X Out™: a quick, hassle-free way to clear skin. Formulated with 8.5% benzoyl peroxide, X Out™ is a one-step Wash-In Treatment that washes powerful breakout fighting medicine into pores to help kill the bacteria that causes pimples. Smooth beads exfoliate dead skin cells and a unique moisturizing complex protects and soothes skin. X Out™ formula is paraben and sulfate-free, non-comedogenic and dermatologist tested, so it’s suitable for all skin types. This sweet scent housed in a heart-shaped bottle bursts feminine fragrance notes such as sugar crystals, pink raspberry, juicy plum and fresh vanilla. True to the flirty and youthful spirit of the XOXO brand, this ladylike fragrance adds the perfect touch of femininity to her daily routine. Prom night is your night to shine, and so should your nails. 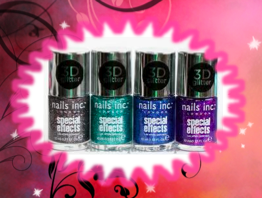 Don’t settle for a boring mani that blends in –these stunning 3D glitters are must have shades. Specially created with two different particle sizes, this polish creates a 3D effect on the nails and are designed to give a full coverage effect for nails that will really make a statement. These polishes look like nothing you have seen before. There is nothing worse than ruining a big night with food in your teeth, bad breath, or stained teeth! 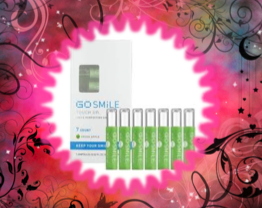 Make sure your smile stays prom-perfect with GO SMiLE Touch Up Ampoules. A toothbrush, floss and breath mint in one small, portable ampoule (small enough for any evening bag), Touch Ups contain a new whitening formula with increased levels of hydrogen peroxide to keep teeth white. Three delicious new flavors make maintaining a white healthy smile a treat, not a chore. Use up to three times per day after indulging in popular tooth-stainers such as coffee, juice or marinara sauce. Just Flip, pop, Touch Up™ to polish away discolorations and keep stains from setting into teeth. Prep your pout for prom night with the fabulips treatment kit – the only complete beauty regimen for your lips! This one-stop lip care shop cleans, exfoliates, plumps and softens for a ‘spa’-tacular smooth every day- it’s a facial for your pout! Whether you desire voluminous curls or a sleek & smooth up-do, EverStyle Alcohol-Free Styling Collection is this prom season's no-brainer. L’Oréal Paris continues to expand its hair styling expertise with the breakthrough launch of EverStyle Alcohol-Free Styling Collection – the first-to-mass complete styling line that is 100% free of drying alcohols. 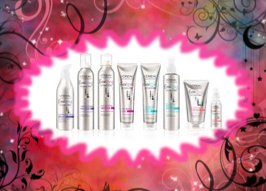 Designed for women that want superior style and hold without the damaging or drying side effects, these eight better-for-you products are good for all hair types and address key styling needs – Volume, Smoothing, Curls and Hold – to deliver a perfect prom-do that will last all night long. Update your hair color for the big day – without the commitment! 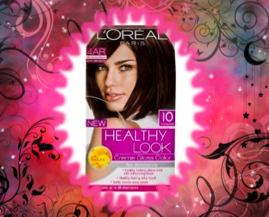 L’Oréal Paris Healthy Look Crème Gloss Color is a no-ammonia formula that lasts through 28 shampoos and delivers natural, healthy-looking hair color. Instead of a dramatic change, the conditioning formula enriches color for glossy results that are so close to your natural shade, hair will never look dull or fake – all in just 10 minutes. You’re sure to find yourself in front of the camera on prom night and the last way anyone wants to be photographed is with an oily t-zone. 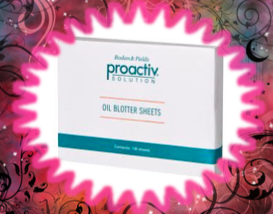 Made from 100% pure natural-fiber paper, Proactiv Oil Blotter Sheets absorb excess oil to leave your skin feeling fresh and clean, with a beautiful matte finish – and, with zero artificial ingredients and no talc, they won’t clog your pores. Tuck them in your purse and your good to go, all day long. Color your face pretty, set it and forget it! As Lionel Richie says, hit the dance floor ALL NIGHT LONG - this groundbreaking formula mists on, ensuring that your makeup won’t budge for 16 hours. Weightless but powerful, All-Nighter’s temperature control technology keeps your makeup from melting down when it’s warm and humid, or dehydrating when it’s cold and windy. What’s that mean for you? 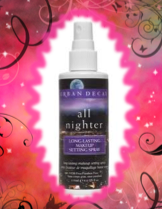 All Nighter mist prevents loss of color, melting, sliding, caking, cracking, excess shine, fading blush, drooping eyeshadow and lip color disappearance. AND it’s formulated to resist moisture, so you can fearlessly sweat, cry, or get your dance on... It’s the new final step to your makeup routine. Ensure your eyeshadow lasts from pre-prom to after party with the number one selling eyshadow primer in the industry... Introducing everyone’s favorite Eyeshadow Primer Potion, now available in a sleek, squeezable tube. Everyone knows Urban Decay’s Eyeshadow Primer Potion is unmatched by any other in the beauty industry but did you know it guarantees more vibrant eyeshadow for 24+ hours? Like your favorite genie, this magic potion grants every makeup maven’s three wishes: eyeshadow that lasts, truer, more vibrant color, and absolutely NO creasing. Once you start to bust a move on the dance floor, the last thing you want to worry about is your hair. Set it and forget it with the new Total Results line by MATRIX. 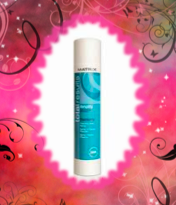 Amplify Hairspray works to attack fine hair with thinner diameter and lack of inner structure – give it totally voluminous results that last 24 hours. Perfoma Hairspray with 24HR Full Boost Technology gives a flexible hold for full bodied styles, with lasting lift and volume. This innovative serum is a prom-prep essential for achieving a goddess-worthy glow. Three shades of swirled illuminators (pale pink, champagne & Kitten) instantly prime, brighten, warm and illuminate the skin. Energized with Stila's exclusive Youth Revival Bio-Available Mineral Complex™, One Step Illuminate reads and reacts to the skin's needs and immediately goes to work to help minimize pores, improve skin texture, and provide hydrating and nourishing benefits for the skin. When I look at a limousine I just remember my prom,, A memories of my high school buddies..